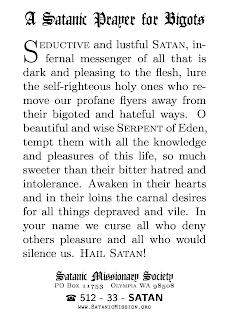 Seductive and lustful Satan, infernal messenger of all that is dark and pleasing to the flesh, lure the self-righteous holy ones who remove our profane flyers away from their bigoted and hateful ways. O beautiful and wise Serpent of Eden, tempt them with all the knowledge and pleasures of this life, so much sweeter than their bitter hatred and intolerance. Awaken in their hearts and in their loins the carnal desires for all things depraved and vile. In your name we curse all who deny others pleasure and all who would silence us. 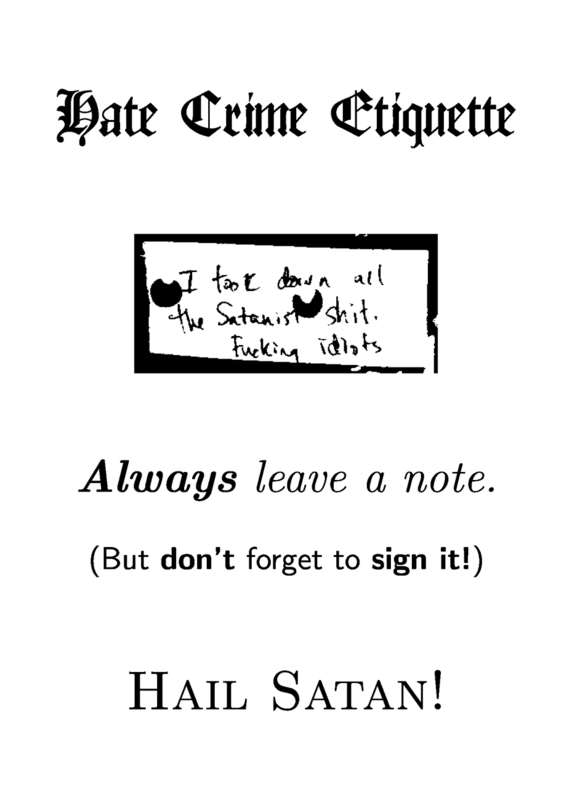 Hail Satan! We put it back up. 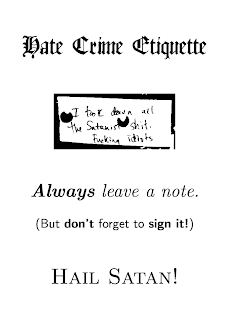 Actually, it looks like they did sign it after all. We were just reading it wrong. Don't miss our July Gathering. We have cookies and talk about Satan.